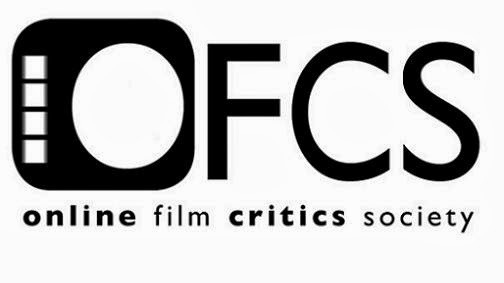 Earlier today, the nominations for the Online Film Critics Society's (OFCS), an organisation of which I am a member, 18th annual awards were announced. Reflecting a generally strong year with a great breadth of quality, the nominations run the gamut from expected and long-standing critical favourites like Richard Linklater's Boyhood, which landed six nominations and shares the lead for most nods with The Grand Budapest Hotel, to the lesser discussed but still brilliant likes of Under the Skin and The Babadook. I'm particularly delighted to see Essie Davis nominated for Best Actress for her performance in the latter film, which is far and away my favourite performance by any Actress (or Actor, for that matter) this year. It's an all-round solid slate, and while I'd have liked to see Tsai Ming-liang's Stray Dogs nominated for Best Film Not in the English Language, what are you going to do? The winners will be announced next Monday, the 15th, and I will spend the next week trying to catch up on the films I've yet to see in time for the final vote. You can see the full list of nominees below.